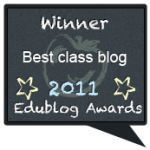 This week I will be teaching a class about educational blogging at my school. I created several informational pages on my website. 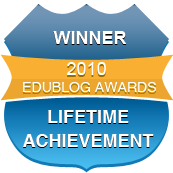 Please use the links below to gather information about setting up and maintaining an educational blog. 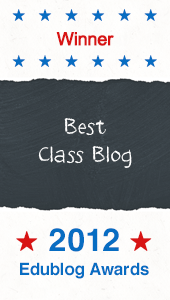 A few of my third grade students have started blogs! I hope they use these tips too! 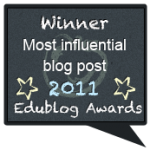 Why did I start an education blog and how does it benefit my students? How did I set up the blog? What do students write about? How do you teach commenting skills? What are the gadgets in the sidebar? I have really enjoyed following your blog the past few months. I wish I had discovered it earlier! My students and I would like to thank you for visiting our website and leaving comments. You post such thoughtful and detailed comments! Partly because of the cool things that you have done, I am going to have a blog next year instead of a website. Thank you for the inspiration! Thank you for commenting and reading our blog. We have enjoyed your website too! We look forward to following your blog next year! We know it will be a winner! We love that we were an inspiration! I think it's cool that kids are starting blogs. I can't wait to see how good they all are! How about you! 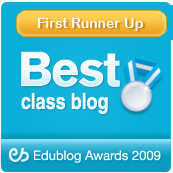 I liked the post, "Blogging Tips for Teachers". Now I think many people will start their own blogs. I know I am! I think it is fantastic that so many of you are starting blogs! Becoming a great writer takes practice, so having a blog will definitely help! Plus, I like to read about what people are learning or doing.